Back-to-school season is officially here. This time of year can often be hectic for parents, and it’s doubly so if you’ve just moved into a new house. Somehow, in the midst of unpacking, you’re supposed to get prepared for the school year ahead. While it may seem like an insurmountable task, it can be done. 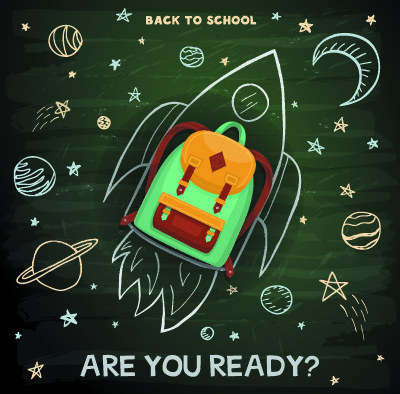 Here are our best tips and tricks to get your home ready for the upcoming school year without losing your mind. If you’re just getting settled in, then take some time now to create a space that’s dedicated for homework. While it may be tempting to settle for the kitchen table, studies show that kids do better when they have a place that is specifically for homework. For young kids, this may be a small area near the kitchen where you can keep a watchful eye over them. Older kids don’t need as much supervision, but the place should be free of distractions. Once the school year is in full swing, schedules fill up fast. This is especially true if you have more than one child in school. Invest in a large calendar and hang it in a central location such as the kitchen. Assign a different color marker to each member of the family and post appointments, practices, and lessons as soon as you find out about them. Then everyone will be able to see at a glance who needs to be where and when. Yes, unpacking can get tedious to the point where you just want it to be finished already. Don’t succumb to the temptation to throw stuff in a closet, thinking you’ll get to it later. Take time to organize each family member’s closet, as well as shared closets in hallways and by the front and back doors. Make it easy for kids to see what they have so there’s minimal drama getting ready for school in the morning. Designate a place for everything, and encourage everyone to put items back where they belong. As you’re unpacking, start taking an inventory of the school supplies you already have. Also note what clothes your kids have and what they may need in their new schools. Then make a list that you can take when you go shopping. It’s so easy to waste money by buying items you don’t end up using. By taking a little time to make an inventory of what you already have, you can save some cash. During a busy school year, it’s easy to let household chores fall by the wayside. Before you know it, those dust bunnies in the corner can become your newest pet. Take aim at those chores by establishing routines and assigning jobs before the school year begins. Create a chore chart so everyone can see what their responsibilities are. Make sure each family member knows how to properly do the job they’ve been assigned. Decide on a reward system that works for your family to keep them motivated.